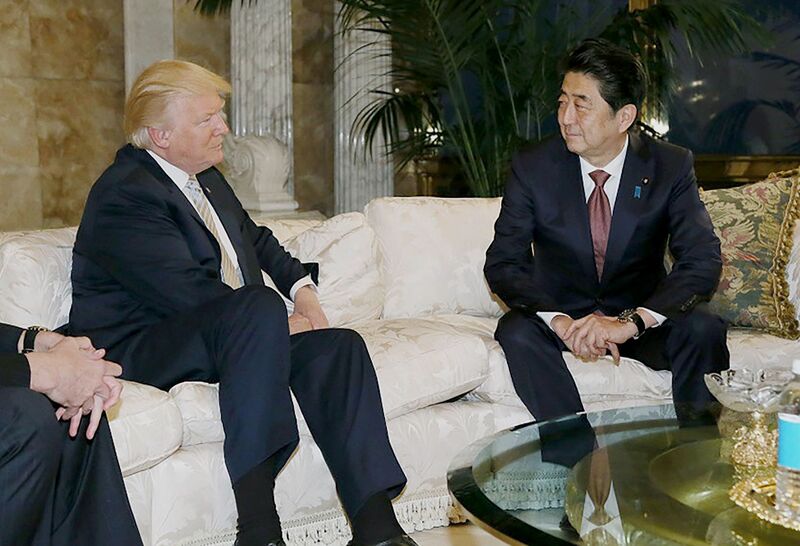 Shinzo Abe will meet Donald Trump on Friday, a week after the two spoke over the phone. The Japanese PM will be accompanied by his finance, foreign and trade ministers, highlighting the importance Mr Abe is putting on forging a strong personal relationship with the new president. Friday’s meeting will be the second between the two after Abe paid the then-president-elect an unofficial visit at Trump Tower in November. Abe’s latest visit is aimed at shoring up Japan’s relationship with its key strategic and trade partner. The Japanese leader was discouraged by President Trump’s withdrawal from the Trans-Pacific Partnership shortly after coming to office last month. The key multilateral trade deal was championed by Tokyo and the former US administration but was targeted by Trump as a “potential disaster”. Despite the disappointment, Mr Abe comes bearing gifts, with billions of dollars of infrastructure deals said to be on the table. Abe has shown a willingness to adapt to Washington’s changing political landscape, recently saying he’d be open to discussing a bilateral trade deal to replace the now-defunct regional agreement. On Saturday, the two leaders are expected to visit Trump’s Florida estate to continue discussions in a more informal setting – and possibly take part in a friendly round of golf.